This week eight young Azerbaijani activists were sentenced to between six and eight years in jail. The members of the N!DA Youth Movement, which works for democracy and social change, were convicted for possession of drugs and explosives, and for intending to “cause public disorder”. The charges are widely believed to be trumped up, and the trials have been criticised by foreign observers over “irregularities” and “shortcomings”, including inconsistencies in testimonies and mishandling of evidence. This is just the latest addition to a long list of human rights abuses by authorities in the oil rich country. 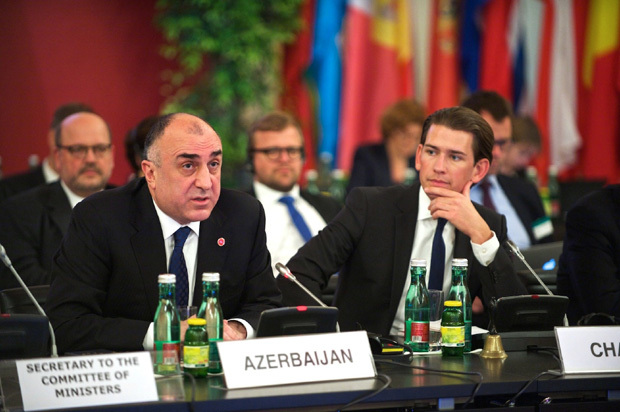 As the repression has largely been allowed to take place away from international attention, this is a good moment to remember a few things about Azerbaijan, especially as the country prepares to take over a six month chairmanship of the Council of Europe’s Committee of Ministers. 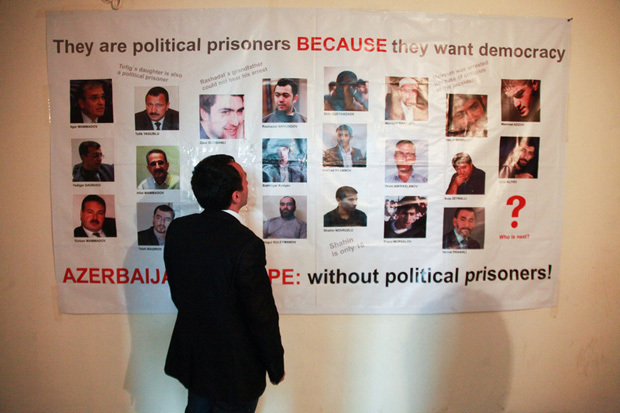 According to the latest figures, there are 142 political prisoners in Azerbaijan today. These include human rights defenders, youth activists, and a large number of religious activists, among others. There are currently 17 people serving life sentences. Ahead of the country’s presidential election last October, candidate Ilgar Mammadov was arrested. In March, he was sentenced to seven years in prison for “organizing mass disturbances” and “resisting the police”. Meanwhile, President Ilham Aliyev insists that there are no political prisoners in Azerbaijan. Attacks, threats and intimidation are regular occurrences for political opponents, activists and press in Azerbaijan. 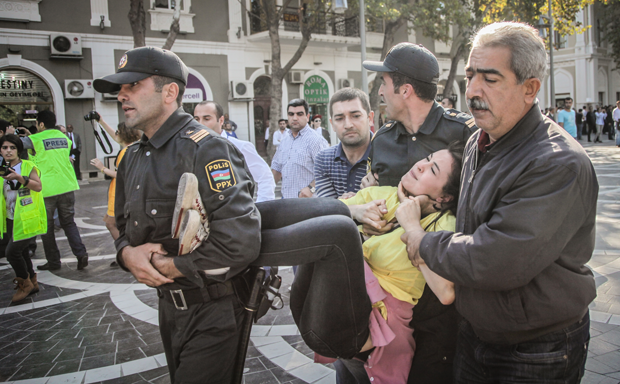 Following protests in the capital Baku as Aliyev secured his third consecutive term in power last October, demonstrators were beaten and detained by police. Police also raided the offices of independent Election Monitoring and Democracy Studies Centre (EMDSC) which reported irregularities in the election. In 2012, reporter Idrak Abbasov was brutally beaten when filming the demolition of a house by the State Oil Company of Azerbaijan, allegedly by employees of the company and police. The same year, fellow journalist Khadija Ismayilova, known for covering corruption among the country’s powerful elite, was blackmailed with intimate images of her and her boyfriend. She continues to face intimidation today. These abuses are often allowed to happen with impunity. 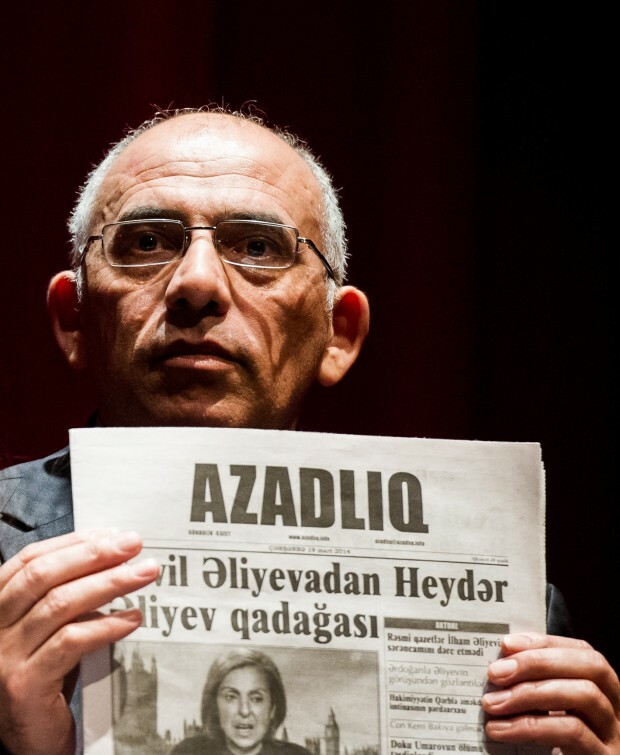 Azerbaijan’s critical press have long been subjected to an array of attacks. Independent news outlets face economic sanctions, and are often barred from distribution networks. Some 70% of distribution is controlled by the government. Most of the nine national TV channels are either directly owned by the state or controlled by the authorities. Journalists also fall victim to legal threats. In the first six months of 2013, 36 defamation suits were brought against media outlets or journalists, four of which were criminal defamation suits. One victim of this hugely restrictive media environment is leading independent paper and Index Award winner Azadliq. The paper has been hit with £52,000 worth of fines following defamation suits, state-owned press distribution company Gasid has not been transferring payments that reflect the paper’s sales. Azadliq claims Gasid owe them some £44,000. While the situation inside the country shifts between bad and worse, authorities have focused their attentions on a wide-reaching international PR campaign. 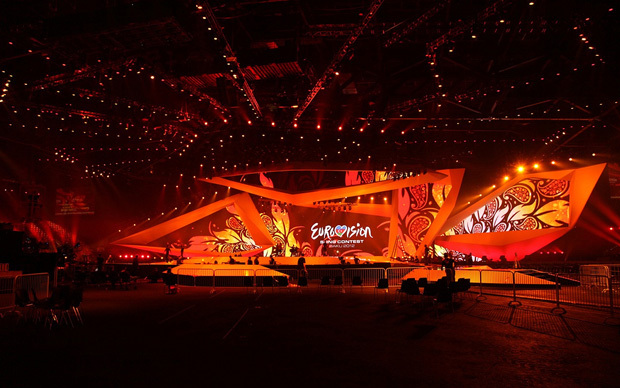 Ahead of hosting the Eurovision Song Contest, authorities ordered urban renewal that saw houses demolished and families evicted. Vast sums have in recent years been poured into the radical regeneration and beautification of Baku, and there’s more to come. There is also the posh London bar Baku, owned by the Aliyevs; the glossy, internationally distributed Baku magazine, edited by first daughter Leyla and co-published by Conde Nast; and the sponsorship deal with Champions League finalists Atlético Madrid. Next year, Baku will again play host to a prestigious international event — the inaugural European Games. “The Committee of Ministers supervises the execution of judgments of the European Court of Human Rights the Council of Europe…The Committee of Ministers’ essential function is to ensure that member states comply with the judgments and certain decisions of the European Court of Human Rights,” the Council of Europe declare on their website. Next week Azerbaijan will assume the chairmanship of this very Committee of Ministers. But one could say that COE is only sticking to form in its relationship with the country. Only last year, a majority in its Parliamentary Assembly (PACE) voted down a resolution on the existence of political prisoners in Azerbaijan.